First…notice what a difference in light does! The interior flash reveals something very interesting. 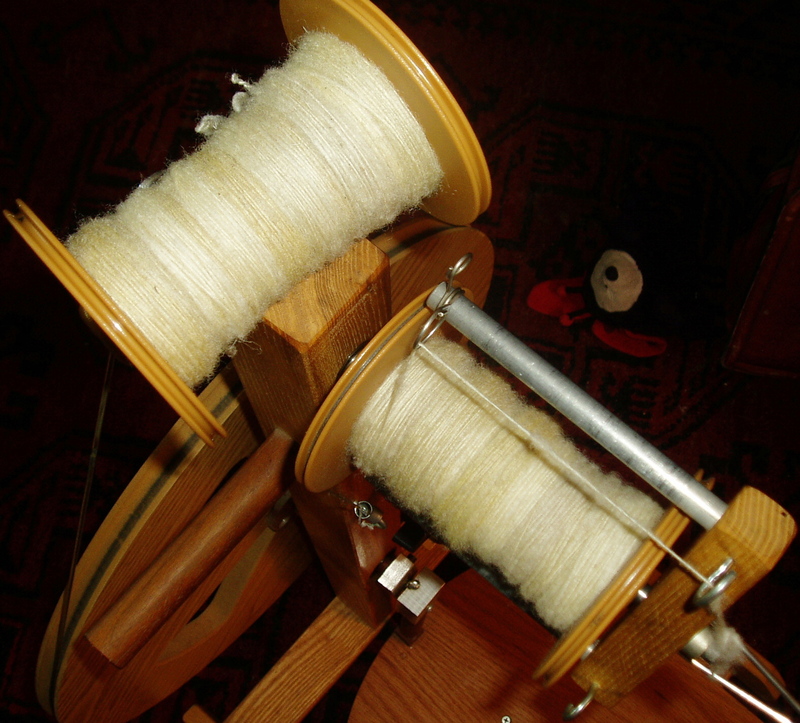 Many spinners are used to spinning prepared squeaky clean fiber. But there are still a few who know about spinning “in the grease.” This particular yarn is being spun in the grease. The fleece is cold scoured – soaked with enough wool wash to get the crud out but not the lanolin. Then spun into a “firm” singles. The yarn is not fuzzy, but spinning is fast. 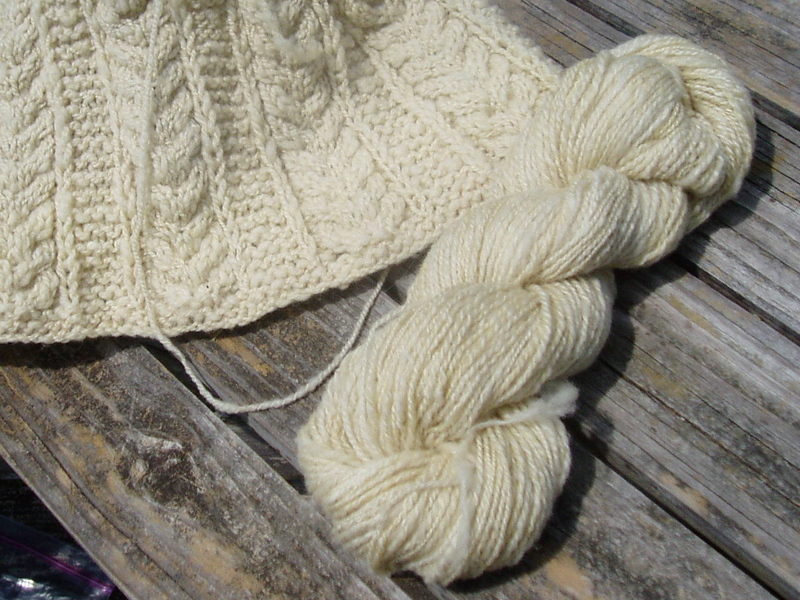 After the yarn has been plied, it will be washed…and it will bloom and soften. This type of spinning is a treat for tired old hands. Lanolin is such a treat! The sweater, Katie Himmelberg’s Eco Vest, is a project I started last winter. Can you tell how yummy the knit is? Mmm mmm. Eventually, I’ll finish enough yarn for this. The skein I spun today is 168 yards, and 3 1/4 oz. Not quite enough to polish off this knitting! Next TDF challenge is to spin a skein of both “Holly” and “Sammy.” I am itching to experience the difference between these senior members of the flock. Sammy’s fleece is really something…I’m saving it for last. Next up is Holly, whose fleece I’m spinning clean, as a laceweight 2-ply.